I have to admit that I really had no intention of ever making a Double Wedding Ring quilt. The pattern although pretty, never really appealed to me and the thought of cutting all of those strange shapes by hand appealed even less! But then one of my students at Quiltworks Studio asked if I would teach the pattern and if we could get a die to cut the shapes. Well, now I started to get interested!! 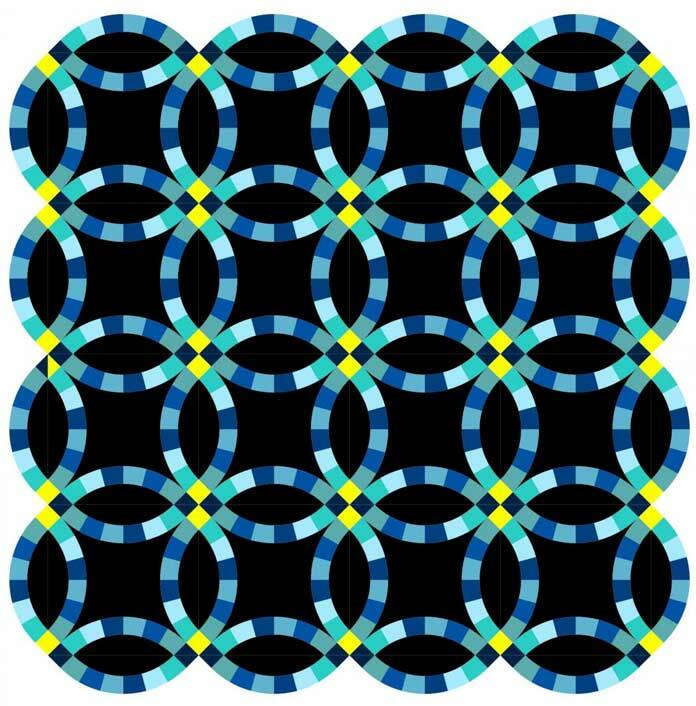 Here’s an example of a traditional Double Wedding Ring quilt where the fabrics are coordinated and each of the pieced arcs uses the same six fabrics pieced in the same order. Here’s one where the coloring has a more modern feel to it. Whereas the main background fabric in the first example was white, this one uses black as the main color. The pieced arcs, although using the same 6 colors in the same order like before, use solid fabrics which also lend a more modern feel. 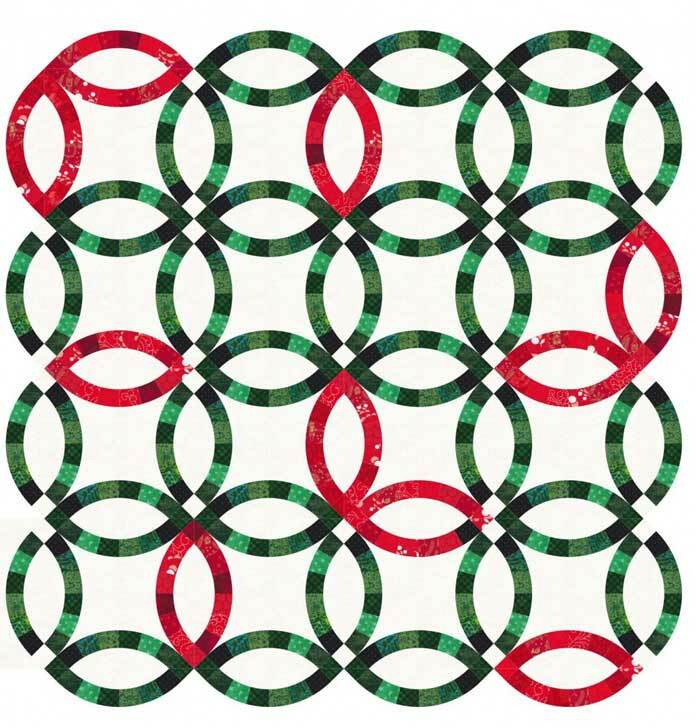 Here’s a modern Double Wedding Ring design featuring arcs of Christmas fabrics placed randomly throughout the quilt. 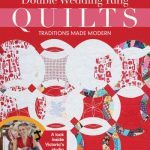 If you do a Google search for “Modern Double Wedding Ring” quilts, you’ll find a huge assortment of different quilts, patterns, and books such as this one by Victoria Findlay Wolfe. Some of these quilts only have a small resemblance to our traditional Double Wedding ring designs, but they can be equally spectacular! Quilting, piecing with celebrated quilter Victoria Findlay Wolfe. 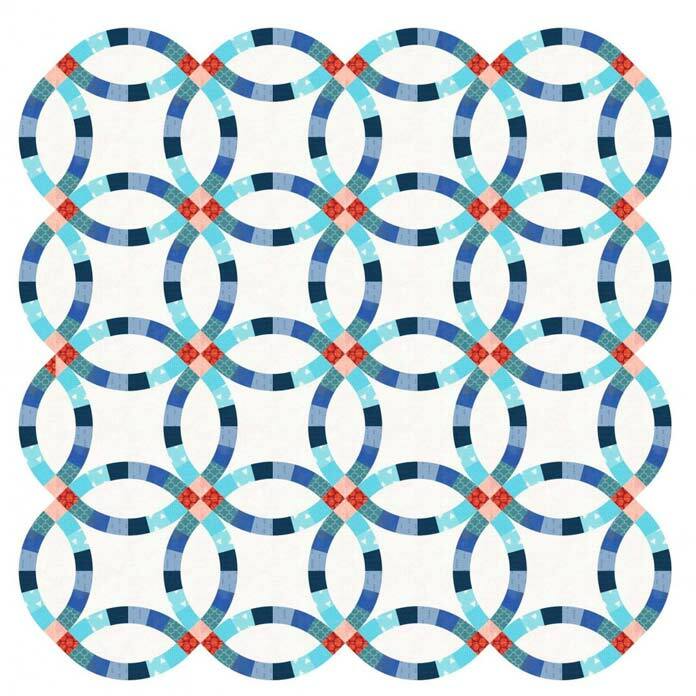 Create stunning Double Wedding Ring quilts, Modern & Traditional quilting. I’ve decided to make my version of the Double Wedding Ring quilt into a bedrunner for the end of my bed. I have two dogs and a cat that regularly sleep on (or in) our bed, so there’s no point in me spending that much time making a queen size heirloom type quilt. 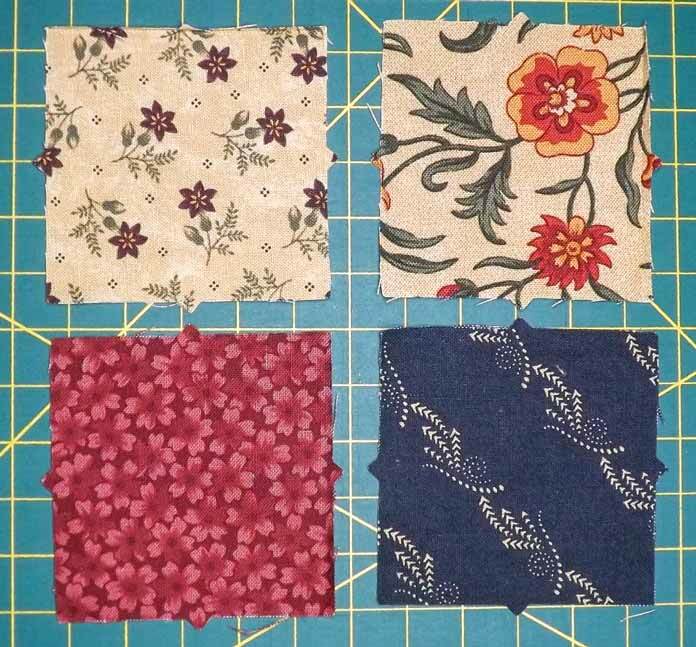 I’ve also decided to use a fat quarter bundle of coordinating fabrics that I bought at Quilt Market last May. The 6 light colored fat quarters will be my background fabrics and the medium and dark fabrics will be the rest of the pieces. 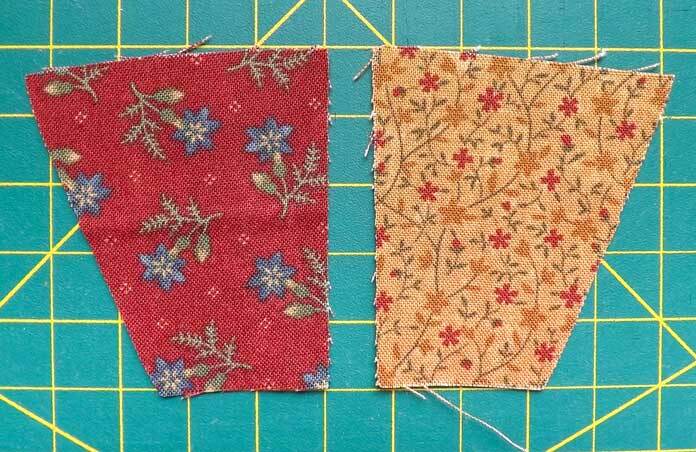 These can be cut individually or to make things faster, have your fabric folded in half and cut two at once – this will give you one and one in reverse. This 12″ block that I’ll make uses 3″ squares that make up the four patch blocks in between the arcs. 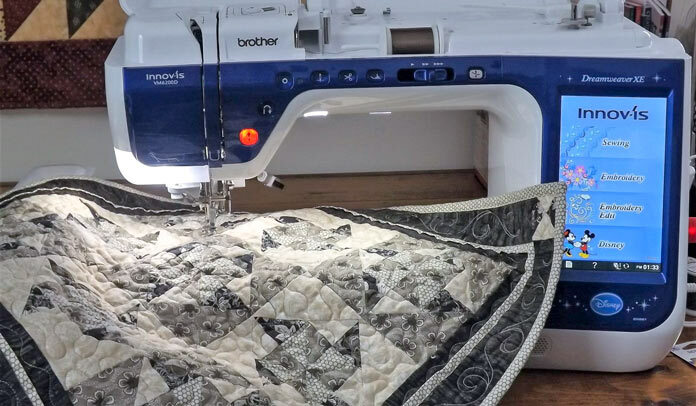 Now that we know what a Double Wedding Ring quilt is and what pieces are needed to sew the blocks, tomorrow I’ll talk about how many pieces you need to make a certain size of quilt and 5 different ways that you can cut them. 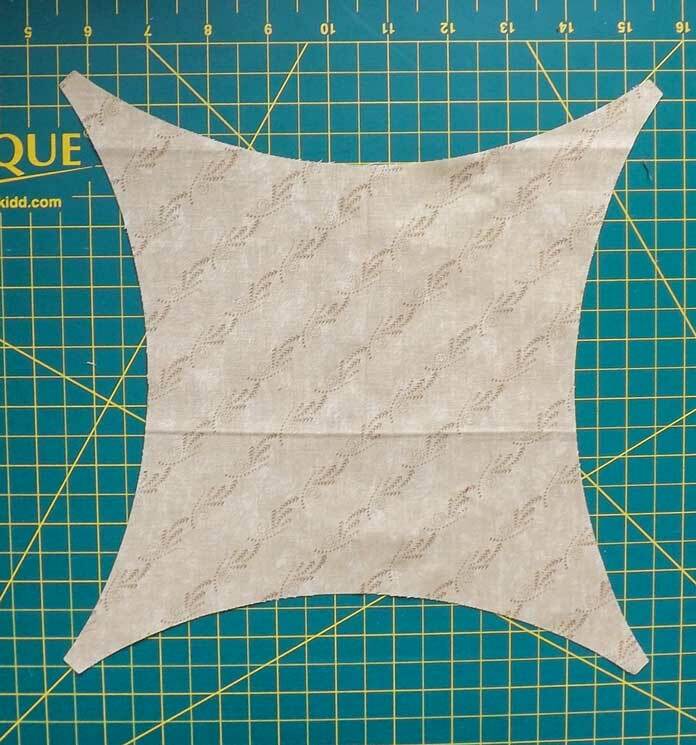 I can’t wait to get everything cut so that I can try out curved piecing on the Dreamweaver XE! Are you using the Go Cutter to cut your pieces?